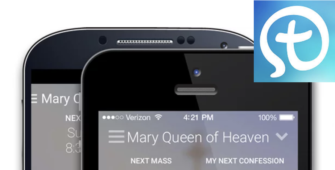 Mary, Queen of Heaven Parish shall maintain an accurate and comprehensive list of its parishioners for the purpose of parish and diocesan information. Additionally, the Parish shall formally identify and designate “Active” status for parishioners for the purpose of those parish services and ministries for which such a distinction is important and necessary. makes a commitment of stewardship to the Parish (i.e. a commitment of time, talent, and treasure). Taken as a whole, these four criteria shall determine whether or not a parishioner is officially classified as “Active” in the Parish Data System. In this way, the Parish can be assured that any “Active Parishioner” advantages accrue to those they were intended to benefit. The responsibility for determining the status of a parishioner ultimately rests with the pastor of the parish. Any exceptions to this policy shall be made by him. * The only tangible evidence of a parishioner’s participation in the Sunday Eucharist is through the regular use of assigned collection envelopes.